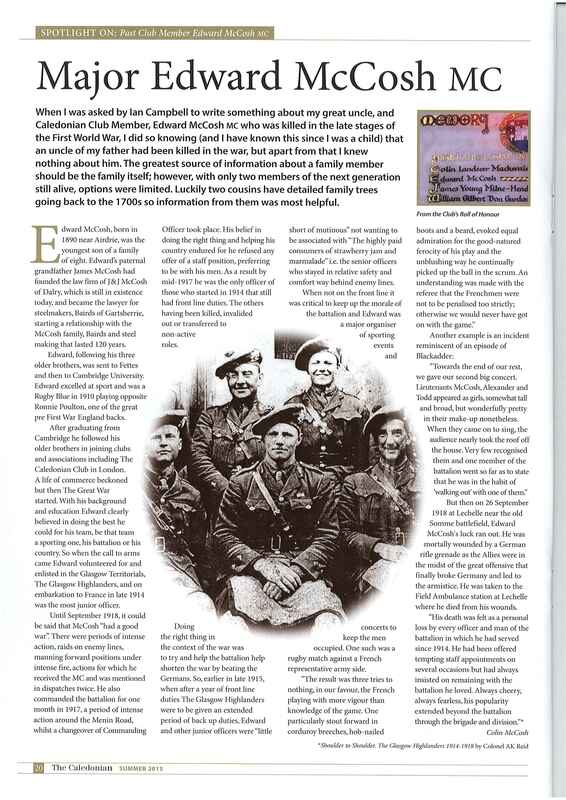 Edward McCosh was first educated at Cargilfield Prep School, before moving to Fettes. 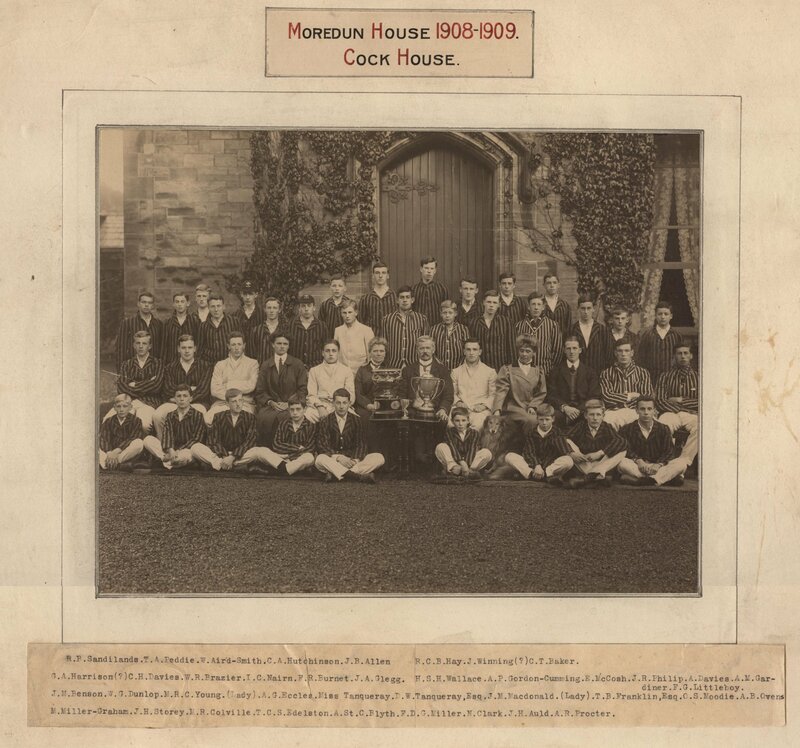 He was at Fettes from 1905 to 1909 where he was in the Rugby 1st XV, won the 1909 long jump (18 feet 6.5 inches) and 1910 quarter-mile race (57 minutes 40 seconds). After Fettes, he went to Clare College, Cambridge where he received a Blue in 1910. He was commissioned 2nd Lieutenant in the 9th Battalion Highland Light Infantry (Glasgow Highlanders) and rose to the rank of Major. He won the Military Cross and was twice Mentioned in Despatches. He served for four years and two months being very nearly one of the few of the originals to make it through the war. He died of wounds received in action when he was hit by a rifle grenade. 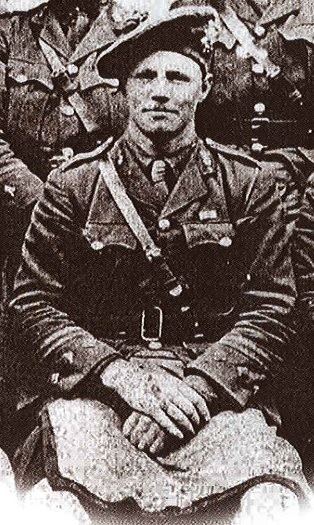 He was a much respected officer by men and fellow officers and organised sporting tournaments and spectacular fireworks during the war for his battalion. 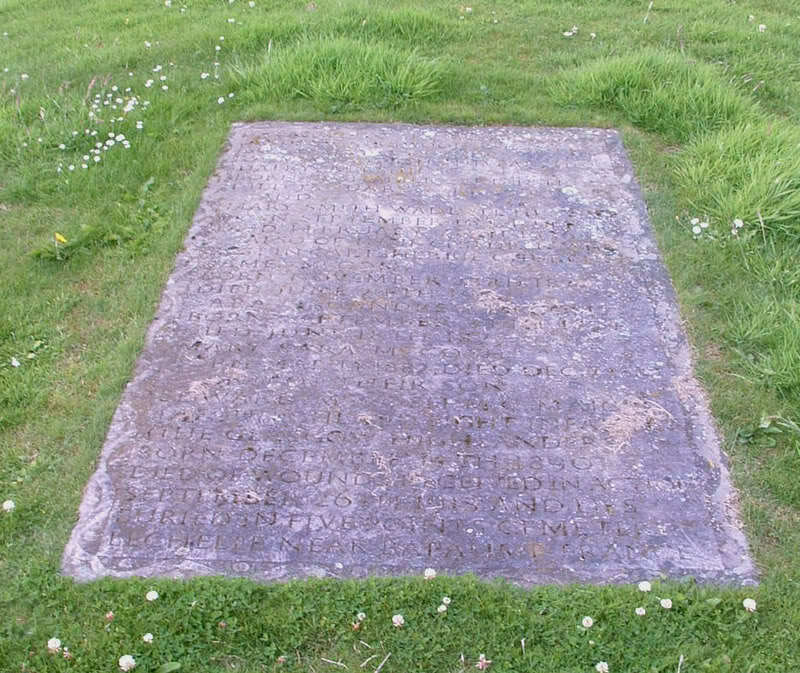 His elder brother, William, married Alexander Kirkwood Reid's (a fellow officer in the battalion) sister. His name is inscribed at the War Memorial at Coulter (a village south west of Glasgow) and also at Cargilfield Prep School. He is buried at Five Points Cemetery, Lechelle, Pas de Calais (Row D, Grave 8). masters and Robert McCosh writer to the signet. Email of his time at Fettes kindly sent by David McDowell, History and Politics Department at Fettes. "The Glasgow Highlanders" by Alec Weir. 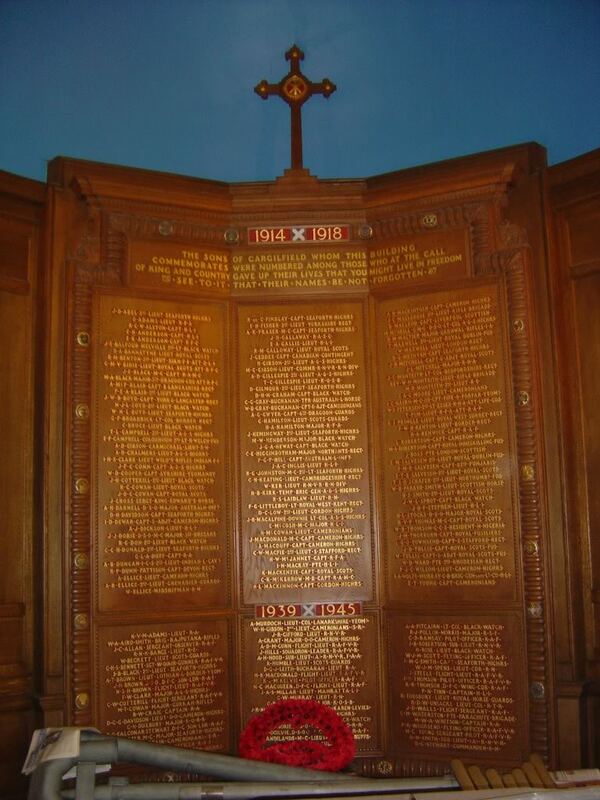 Clare College Cambridg WW1 memorial.